The news footage above indicates some of the people in the Phoenix area are pleased to have one of the DC-10 air tankers temporarily working out of the Phoenix-Mesa Gateway airport. Some Snake River Hotshots crewmembers detailed there out of Idaho are also interviewed in the piece. After flying 10 missions on the Powerhouse Fire in southern California over two days, the air tanker flew two missions Tuesday on the Thompson Ridge fire which is spreading rapidly west of Los Alamos, New Mexico. Today they are back on the Thompson Ridge Fire again, reloading out of Roswell, New Mexico. The U.S. Forest Service has not had a helicopter with night flying capabilities since around 1980 — until recently. Now there is a night flying ship based on the Angeles National Forest in southern California, designated Helicopter 531. Three to four night flying helicopters from Los Angeles County and Los Angeles City have been used for the last four nights on the Powerhouse Fire north of Los Angeles. They were coordinated by personnel in another new addition to the USFS’s fleet, a fixed wing air attack ship orbiting overhead in the darkness. It is a Turbo Commander 690, much like the one in the photo. The air attack ship is not USFS owned as reported by the agency, but it is leased on a call when needed contract. It is equipped with technology to support ground and air firefighting operations at night, including an infrared camera and command and control avionics equipment. The long term goal of the USFS is to retrofit an old agency-owned piston engine Shrike 500 Commander to take the place of the contractor supplied aircraft. Helicopter 531 is a Bell Super 205 equipped with a belly tank and snorkel, supplied under a contract with Helicopter Express of Atlanta, Georgia. The company’s web site says they operate 22 helicopters. During the day to fill its tank it will typically draft water from a water source while hovering. But at night, for safety purposes, it will only refill by landing and filling from a hose staffed by firefighters. Yes, according to information we received from U.S. Forest Service spokesperson Stanton Florea and someone else closely associated with the operation, the helicopter will be staffed 24 hours a day, using five personnel on each 12-hour shift, changing at 0600 and 1800. 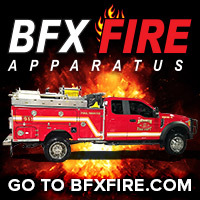 There are four 5-person shifts of firefighters, A, B, C, and D, in order to have coverage on days off — a total of 20 firefighters for the helicopter operation, plus pilots. The helicopter will be flown by one pilot during the day, but will add a co-pilot at night. It will respond to fires with a Captain and two other helitack crewpersons on board while two more travel by ground vehicle. The helicopter and the air attack ship will work out of Fox Field in Lancaster, California. 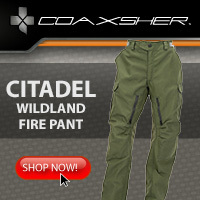 They can be used on initial attack during the day and night in the southern part of the Los Padres National Forest, and all of the Angeles, San Bernardino, and Cleveland National Forests. The re-introduction of Forest Service night helicopter firefighting operations in Southern California further establishes the agency’s commitment to protect lives and property in the region. Night flying operations will provide an aggressive agency initial attack while better ensuring public safety, minimizing overall fire costs and lessening impacts to communities. Both the Turbo Commander and Helicopter 531 began their contract June 1. While the fixed wing has been in use since then, the helicopter and pilots have been going through training and obtaining certifications and the module is expected to be available at the end of the day on June 5. 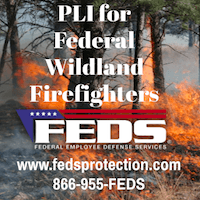 The USFS was criticized for attacking the 2009 Station fire near Los Angeles on the first night and the morning of the second day with strategy and tactics that were less than aggressive. The fire was three to four acres at 7 a.m. on the second day, but no air tankers or helicopters were used the first night or until later in the morning on the second day. The fire took off at mid-morning on day two and later burned 160,000 acres and killed two firefighters from Los Angeles County Fire Department. Nearby night-flying helicopters operated by Los Angeles County were not used the first night. After the Station fire several politicians became involved in the controversy and pressured the USFS to restore the capability to use helicopters at night to drop water. The agency later said they would study the concept, again, and three years after the disastrous fire they announced on August 16, 2012 that they would get back into night flying on a very limited basis with a single helicopter in 2013. The southern California FIRESCOPE organization and the national forests in the area have established guidelines and procedures for the program. Here is a link to a FIRESCOPE document written in 2007. 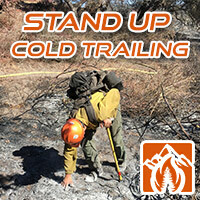 And below are more recent guidelines from the San Bernardino National Forest. Following the San Bernardino document, there are some excerpts from the FIRESCOPE procedures. Those who say the DC-10 can’t be used in the mountains should take a look at this. In this video, tanker 910 is dropping on the west flank of the Goff Fire (part of the Fort Complex) in late summer of 2012. The video was taken from Tim’s Peak, north of Hwy 96 on the Happy Camp/Oak Knoll District of the Klamath National Forest. Also, check out these very impressive photos taken by Michael Meadows of the DC-10 dropping on the Powerhouse fire north of Los Angeles June 2, 2013. The Santa Maria Times ran an article with photos that featured one of Neptune’s BAe-146 air tankers when the aircraft was working out of the Santa Maria Air Attack Base while the White Fire was burning north of Santa Barbara, California. The interesting thing about the article is that it includes a photo of the interior of the BAe-146. It is the first photo I have seen of the interior. Only the end of the tank is visible, and it is round. You can’t tell if the tank is cylindrical like the MAFFS tanks, or a series of nearly spherical tanks, like in the 747 Supertanker. We asked the Santa Maria Times for permission to replicate the photo, and they refused, which is of course their right. A screen grab from the NBC Los Angeles TV station video report, exaggerating the capacity of the BAe-146 by over 28,000 gallons. In a video report Thursday about Tanker 41, “the latest weapon in the firefighting arsenal”, Neptune’s BAe-146 air tanker is described by the news reader and text on the screen (above) as having a “31,000 gallon tank”. That figure is off by a factor of 10 — they missed it by over 28,000 gallons. T41 can carry just under 3,000 gallons, maximum, and usually carries less due to density altitude limitations. If the 31,000 number was meant to be pounds instead of gallons, at 9 pounds per gallon for retardant it would still overstate the capacity by at least 400 gallons. The air tankers that come closest to carrying 31,000 gallons are the 747 with 20,000 gallons, and the DC-10 at 11,600 gallons. All of the others flying today have a capacity of 3,000 gallons or less. The P2Vs usually carry less than 2,000. 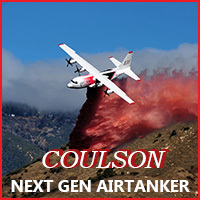 Coulson’s C-130Q that was awarded a contract this week will always carry 3,500 gallons when it begins dropping on fires in a few months. The video shows T41 dropping on the Powerhouse Fire north of Los Angeles. The second time they show the drop near the end of the video, the news reader did not mention how the volume of the retardant trailed off at the end. The two BAe-146s have been criticized for having a consistent drop pattern for only the first 2,400 to 2,500 gallons, while the remaining 500 to 600 gallons dribbles out. Neptune has said they are outfitting their third and fourth BAe-146s this summer with an improved tank design which will fix some of the bugs with the tanking system. Then next winter they will modify the tanks in the first two BAe-146s, T40 and T41. I watched some of the aerial firefighting Thursday while it was being streamed live, and saw an air tanker drop unlike any I have seen before. The same air tanker, T41, made two separate drops on the same pass. The ridgetop target was not straight. It had two straight sections but had an oxbow in the middle. The ridge was too crooked for the aircraft to make two sharp turns and treat the entire ridge in one long drop, so it flew a straight line and dropped maybe 1,000 gallons on the first straight section, stopped dropping while it passed by the crooked section of ridgetop, then when it was over the second straight section, opened the doors again and dropped another 1,000 gallons or so. Either T41 or another air tanker probably came back later and treated the oxbow section skipped before. In addition to talking about the C-27J in his testimony before a subcommittee of the Senate Appropriations Committee Wednesday, Chief of the U.S. Forest Service Tom Tidwell discussed at length the air tanker program, especially the contracting process for the next-generation air tankers. 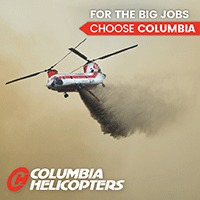 During the hearing, which was primarily about the USFS budget, Senators Jack Reed (Rhode Island) and Jon Tester (Montana) asked many questions about the air tanker program. The entire hearing lasted almost two hours; you can watch a video of it HERE. You will see that there were three people in the audience, and only about five or six senators were present, out of the 30 that are members of the committee. Chief Tidwell said he has the authority to override the protest filed by Neptune for being passed over for the next-gen air tanker contracts. If he does, it would be within the next couple of weeks and would be based on an “emergency” — a shortage of air tankers. On May 17 Colorado Senator Mark Udall issued a statement saying the protest should be overridden because Colorado lives and homes are at stake. At 43:28, Tidwell: “We will have an adequate air tanker fleet this year. We are anticipating between 24 and 26 planes to be available. We currently have nine aircraft under what we call a legacy aircraft which is seven P2s plus two BAe-146As that are currently on contract. We are in the process of awarding contracts for seven more aircraft which we call our next generation which are the faster planes we are trying to move forward to, that carry larger payloads. In addition to that we continue to work with the Air Force and Air Force Reserve to make sure the MAFFS units, the C-130Js and Hs are available again this year as a backup. We’ve also taken steps to be able to work with Alaska and Canada to bring down their [Convair] 580 planes if we need those aircraft. So based on everything we’re moving forward with this year I feel confident that we will have a set of aircraft that we can respond. Tidwell: “Mr. Chairman, we are working through the process of the contract for the next generation and we have received a protest, that we will work through that protest. I do have the authority to override that protest and as we go through the process I’ll make that determination to ensure that we have the aircraft we need to be able to respond to fires this year. At 1:39, Tester questioned again whether the seven next gen aircraft have FAA certification. Tidwell said it is his understanding that six do, and one made some air frame modifications, so it may not have the FAA certification. Tester asked Tidwell to confirm and get back to him. Tester asked about the status of the C-27 transfer. Tidwell said it is his understanding that the Air Force is doing a study to determine if they want to do the transfer or not. The study could be done by September. Tidwell anticipates the payload of the C-27 to be 1,800 gallons. Maintenance would be contracted. He said it would cost between $21 and $26 million to convert seven C-27s into air tankers. In testimony Wednesday before the Senate Appropriations Committee, Chief of the Forest Service Tom Tidwell said the agency hopes to obtain the C-27J aircraft that the Air Force may decide to declare surplus, and the USFS would outfit them with scaled down versions of the Modular Airborne FireFighting System (MAFFS) tank systems that are used in military C-130s. When asked, he said the C-27Js would hold 1,800 gallons of retardant in the MAFFS unit. When used in C-130s, the systems can carry up to 3,000 gallons, during favorable density altitude and fuel load conditions. MAFFS unit in Cheyenne, showing the 2-person loadmaster crew. May 7, 2012. Photo by Bill Gabbert. Some would say that choosing a MAFFS design rather than a conventional gravity powered tanking system is misguided. 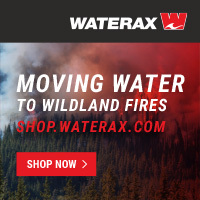 The retardant in a MAFFS is pumped out by a complex compressed air system and the delivery has been criticized as not being able to penetrate tree canopy as well as a gravity system. A MAFFS would have a much lower retardant capacity since it requires an air compressor, tanks for compressed air, and a complex system of additional valves and piping. All of that extra equipment means less capacity for carrying retardant. It also requires two loadmasters, in addition to the two or three person air crew, to operate the MAFFS, doubling the personnel cost. I just don’t see the advantage of installing a MAFFS unit in a government-owned air tanker rather than a conventional gravity system. It holds less retardant and does a less than desirable job of retarding the spread of a timber fire. Sure, you would be able to remove the MAFFS and use the plane for hauling cargo in about a day, but how often during the winter does the USFS need seven cargo planes? 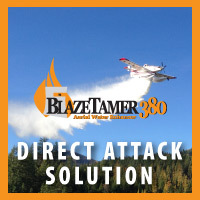 It could be used during fire season to haul firefighters, smokejumpers, and fire equipment, but then that makes it unavailable as an air tanker. So you’re either going to use it for hauling stuff, or as an air tanker, but not both. It should be relatively simple to scale down an Aero Union gravity tank, which has been tested, approved, and used for decades in C-130s, to fit into a C-27J. Coulson is using an Aero Union designed tank, slightly modified, for the C-130Q they are building right now in San Bernardino. The tank has wheels, and Britt Coulson told Fire Aviation that they can install or remove the tank in about 30 minutes, making it available to haul cargo. More information about Chief Tidwell’s testimony about air tankers on Wednesday.